The very first video game I ever played was Sid Meier’s Civilization. I was two years old and definitely couldn’t read yet, but I enjoyed watching the animations of a burgeoning Earth and building my palace, seemingly at random. I certainly never won (again, couldn’t read), but I loved the title just the same for its turn-based play and struggling empires locked in a Darwinistic match for the survival of the fittest civilization. As I play and replay campaigns in Civ Rev for the handhelds and CIV VI, I can’t help but think that Civilization evolves ever so slightly — just enough to keep players interested, but never enough to really break the mold of what it means to be a Civ game. Did I want the same? Did I want something different? Could anything ever compare to my first love? All I know is, if anything can ever come close, it might be Oriental Empires. Developed by Shining Pixel Studios and published by Iceberg Interactive, Oriental Empires is a turn-based, 4X strategy game set in ancient China available on Steam for $29.99. Players can take a leading role over one of 24 different groups of Chinese, including the Shang, Han, Zhou, and Qiu. Each subset of people will have different strengths, but only five are available at the beginning, as not to completely overwhelm new players. And speaking of overwhelming new players…once the preferred group is chosen (I stuck with the Han), the onslaught of reading begins. In order to make any sense of the game whatsoever, players are strongly — I repeat, strongly — encouraged to read the many manuals that are provided. 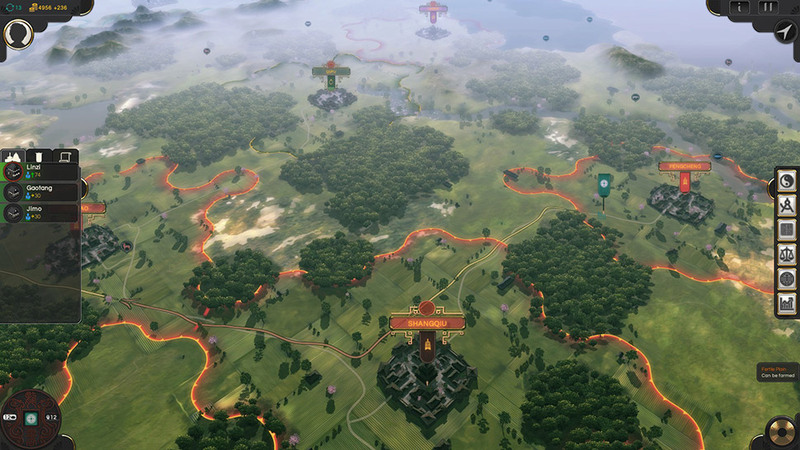 The game may look like Civ, right down to its hexagonal tiles, but it is most certainly not Civ, nor is it anywhere near anything that resembles something close to “intuitive”. Reading the rulebook, therefore, is an absolute must. 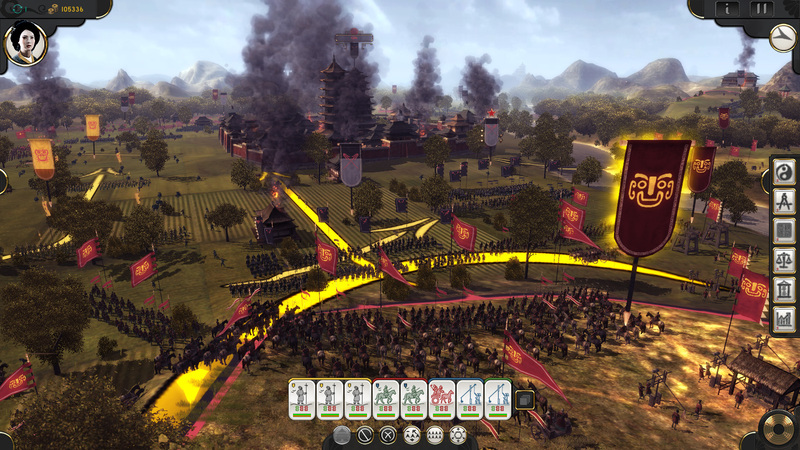 Gameplay seems initially similar to Civilization; players will obviously recognize the aforementioned hexagonal tiles, but also the similar trade system, farming, and tile improvements. But there are noticeable, blaring differences that, depending on player preference, will either make or break the experience of Oriental Empires. All Civilization games feature a system where players complete actions one unit at a time — a settler moves, an artillery unit attacks, or a great person uses their talents. After players have decided who will do what, other civilizations take their turns. Lather, rinse, repeat. 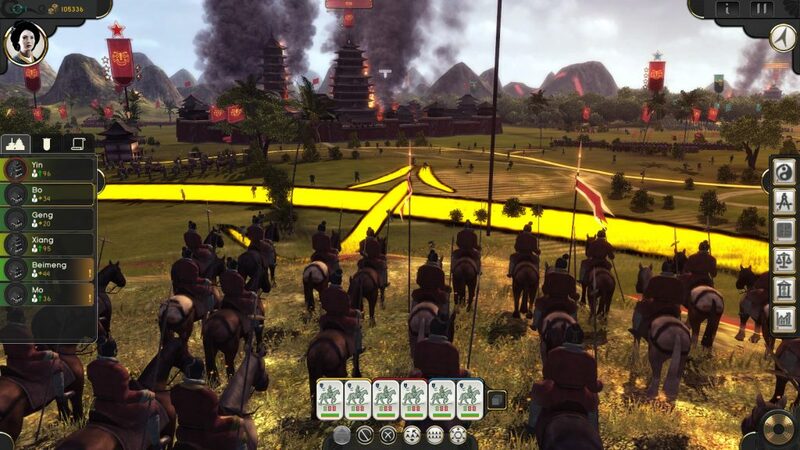 In Oriental Empires, however, players set up their turns, then watch it all happen after ending the turn, meaning that player units and other civilization units move at the same time. This adds to the layer of difficulty, as it is now harder to anticipate the movements of the enemy. 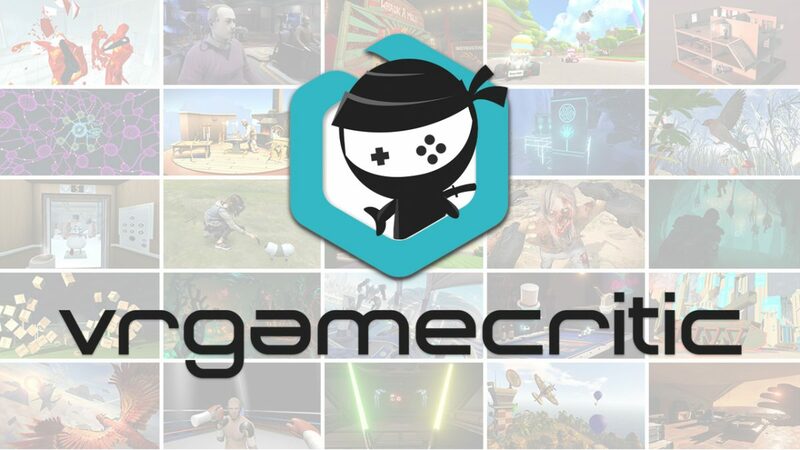 The graphics are solid, stylized, and fluid. Another similar aspect to Civilization, there are two modes in which to survey the land — top down and a more zoomed-in view to see how the townsfolk are doing. And although the visuals are appealing, there isn’t a lot of diversity. This isn’t a deal breaker, but it is noticeable. The music sets the ambiance, but it can be annoying to some who dislike the zither or Chinese flute, as it is repetitive. The controls, perhaps the most confusing and frustrating aspect of the game, do take some time to get used to but overall are not too complicated that the game is unplayable. It pays to read that manual — that’s for sure! Perhaps my biggest frustration outside of the confusing controls was the fact that there is no mini-map. Something that almost seems standard in most video games these days is completely missing in this title, and it is definitely missed. Again, the title is not unplayable due to this oversight, but it is an understatement to say that Oriental Empires feels incomplete without it. As I complete my playthrough of Oriental Empires, watching my pitiful empire crumble in flames beneath me, I think about how it compares to Civilization. It’s certainly not a contender for my newest favorite game, but it adds life to a genre that Sid Meier’s beautiful masterpiece had long-since defined. It was interesting to think that a city could actually have life in it, instead of just another dot on the map, another settlement to churn out buildings and armies. And it was interesting to watch civilizations interact with each other instead of one turn at a time. Oriental Empires doesn’t overtake Civilization — not by a long shot. But the latter could stand to learn a thing or two from the newcomer and improve upon a slightly stale system. Editor’s note: This review is based on a retail copy of Oriental Empires given to HeyPoorPlayer by the publisher.